In the last decade and a half, Croatia has made leaps and bounds in tennis with many promising players mushrooming from the south-eastern European nation. The turning point, according to many, was the Davis Cup triumph in 2005. The Croats lead by the terrific duo of Ivan Ljubicic and Mario Ancic capped off a remarkable win against Slovakia away from home. With young talents like Borna Coric making giant strides by lodging victories against the best of the best players like Roger Federer, one can expect good days for Croatia in the years to come. Croatia has two players in the top-15 of the ATP rankings - Marin Cilic and next-gen star Borna Coric. Although not quite at the ATP level, they have 2 players ranked inside the top 35 in Petra Martic and Donna Vekic on the WTA circuit. Mirjana Lučić-Baroni enjoyed considerable success in the mid-1990s as she broke several of the 'youngest ever' records. At the 1998 Australian Open, Lucic-Baroni won the Doubles title aged just 15 along with her partner, Martina Hingis. She remains the youngest ever winner of the Doubles Grand Slam title of all-time. In 1997, she won the Croatian Bol Ladies Open - in what was her debut WTA tournament. The following year, she successfully retained her title making her the youngest player to win back-to-back titles at the same venue. Aged just 16, she made the semi-finals of the Wimbledon Championships in 1999 beating Monica Seles on the way. It was around this time that her off-court struggles started to disrupt her career. According to Lucic-Baroni's own account, her abusive father made life a living hell. This, coupled with financial problems, affected her game and she did not play regularly on the WTA Tour for the next 6 or 7 years, competing only in far and few tournaments in between. 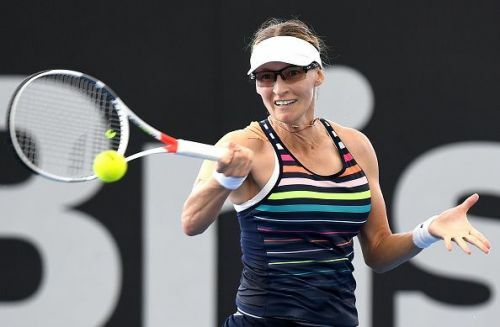 At the age of 35, Lucic-Baroni made the semi-finals of the 2017 Australian Open beating 3rd seed Agnieszka Radwanska and top-seed Karolina Pliskova along the way. She reached a career-high ranking of world number 27 that year.